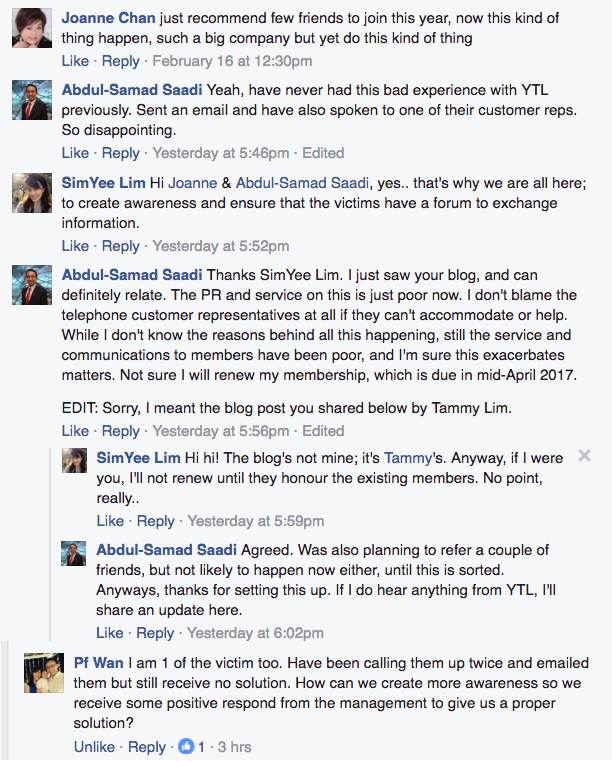 Hi Tammy, I'm sorry to hear about your treatment from YTL. Been to pangkor and tanjung Jara and service by them has been superb. 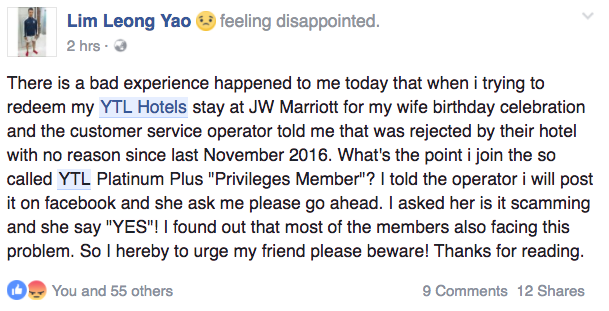 I wonder why they have started to do this? Anyways, just trying my luck here. 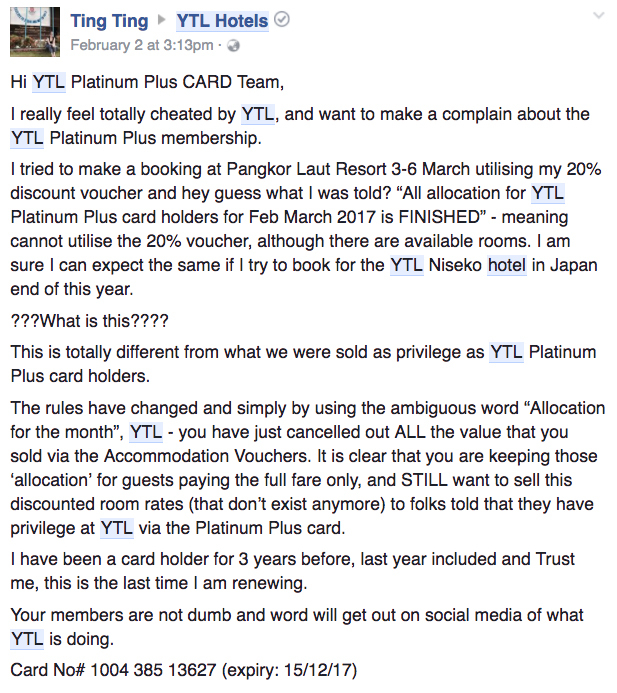 would you happen to still have your Japan niseko 20% voucher off for rooms? Would you've using it? If not, could I purchase it from you? Thanks! I still have it and the certificate is transferable. I won't be going to Japan so you can have mine. 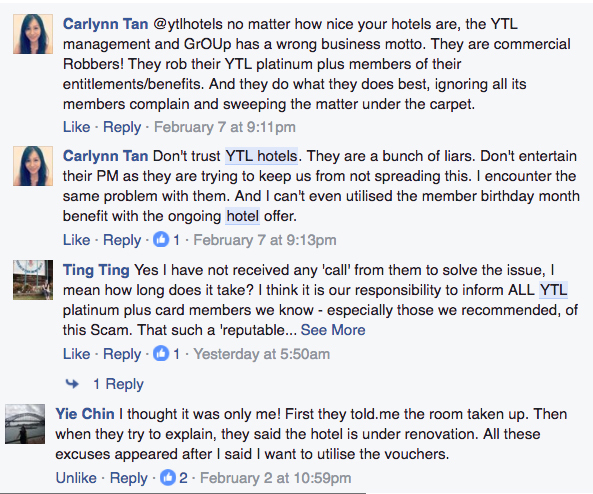 However, I think you may face the same issues as all of us when you try to use the certificate with YTL. 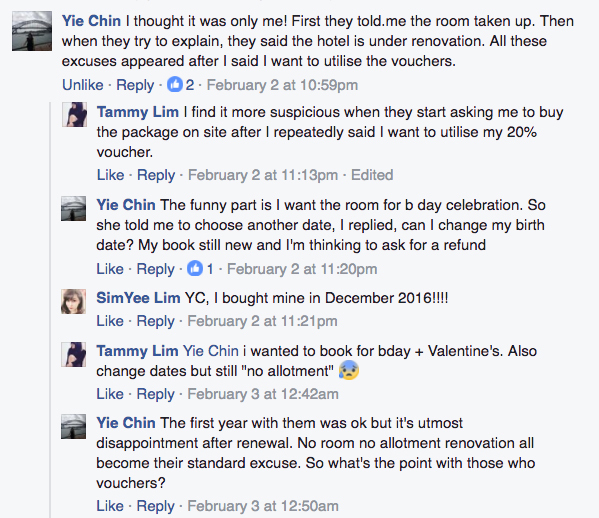 Do FB me at FB.com/tammylci to arrange time to collect the certificate. 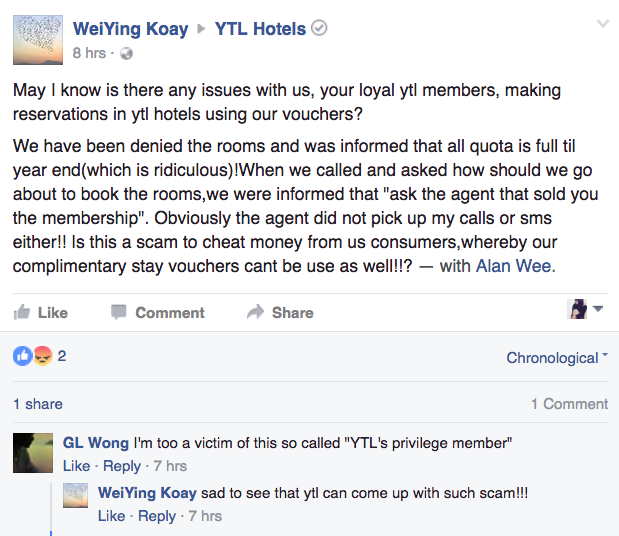 Sigh..I had such "fight" with other memberships but I don't have a blog to whine last time.. sometimes..Platinum members means platinum payers to corporations. 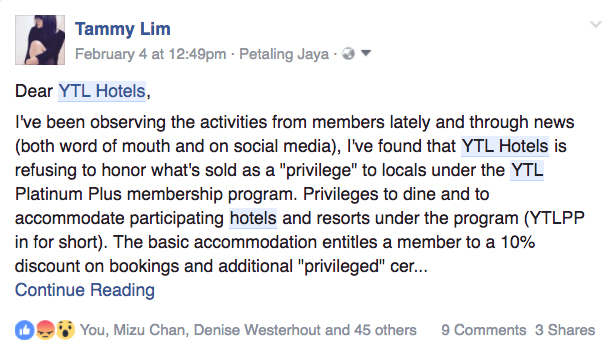 Lyn, actually I was very reluctant to blog about this as it may affect any relationships I have with YTL or it's big "company". Maybe get hit by car when I walk outside. Joking.. well you get the idea. Hey Jessie, please add me on fb/tammylci because we have a group of members who's discussing on what to do. 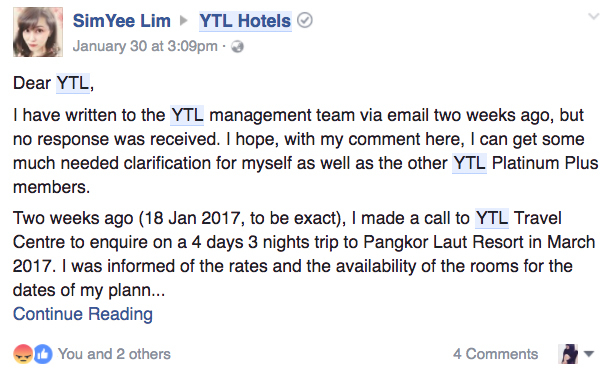 YTL is ignoring our complaints, they even challenge another member today to post on social media. Guess what? 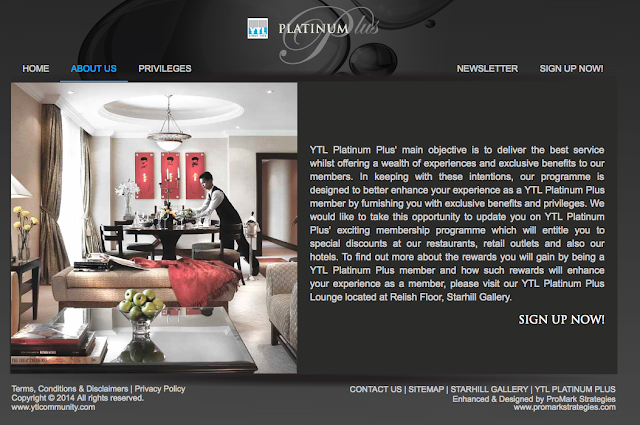 YTL platinum plus certificate for the one night complimentary stay also doesn't work anymore !!!! They are situated closer to the beaches and come with certain extra facilities which usually are not to be found in the other hotels. The facilities in these hotels are introduced for the purpose of making their guests' beach viewing exemplary.